The secretary of the Ministry of Drinking Water and Sanitation, Vijaylakshmi Joshi, who was given the responsibility of heading Prime Minister Narendra Modi's Swachh Bharat project, has decided to quit before the project has completed even a year. Joshi applied for voluntary retirement, citing personal reasons, even though three more years are left in her service. She was shifted to the sanitation ministry just a few weeks before the launch of the Swachh Bharat Mission. Even though Joshi was serving as the secretary of Panchayati Raj ministry, she was appointed as an OSD in the drinking water ministry. She assisted the outgoing secretary in launching the ambitious project on 2 October, 2014. 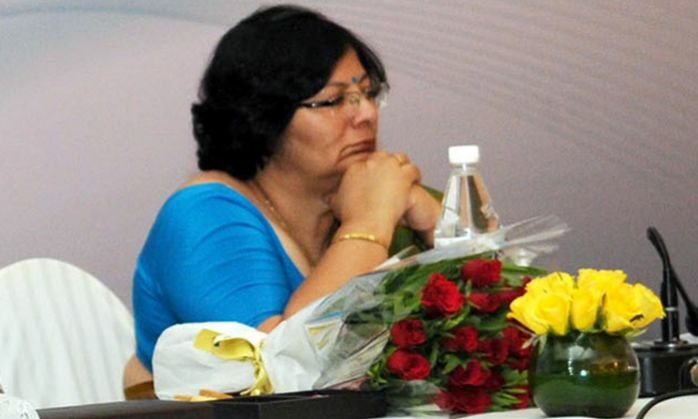 Vijaylakshmi's husband, a former IAS officer of Gujarat cadre had also opted for voluntary retirement in 2008.